*Creating a niche of Tassel Tieback such as Tassel Tieback TC01, Tassel Tieback TC02, Tassel Tieback TC03, Tassel Tieback TC04, Tassel Tieback TC08, Tassel Tieback TC09 and many more items at its best, with utmost quality. Size: Tassel 9" Cord 13"
We Can Make In Any Colour, size, And Design. Size 32", Wooden Head 6cms. & Tassel 18cms. Size Expanded 32", Wooden Head 6cms. & Tassel 18cms. Size 8" Tassel & 20" Cord. 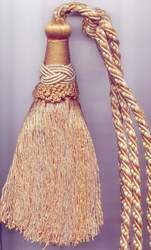 1)Size:8" Tassel & 20" Cord. 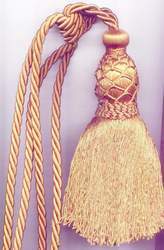 Size 5.75"Tassel with Cord of 17". 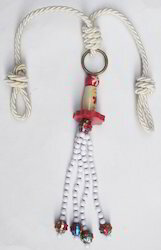 *Size:5.75"Tassel with Cord of 17". Size Pom 5 Cms & 15"
We are one of the leading manufacturers of Curtain Tieback. Size: Pom Pom 5 Cms & 15"
Used In Curtain And Home Textiles. We Can Make In Any Colour, Size And Design As Per Your Desire. 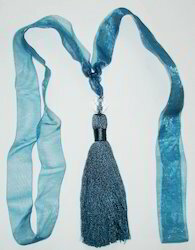 4)Tassel Tieback in many and any size as per buyers requirements in 5)Any color combination. Size: Tassel 6" & Cord 15"+3"
We Can Make In Any Size, Colour, design You Desire. 1)Size 13.25"-14.25" Organza Ribbon with Bead head 1.5cms. & Tassel 5". *Size Expansed 28" & Tassel 11.5". 1)Size 16" Cords & Tassel 12". 1)Size cord 34 cms. 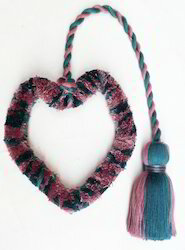 Tassel 12cms.& Heart Wide 16cms. & Length 18cms. 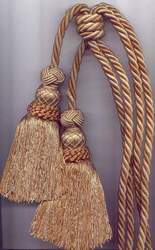 1)Size 13"-4" Cords & Tassel 9". *Size: 9" & 3" Cords & 10" Tassel. *Curtain Tieback all kinds of materials with different colors & beads. *Size 25cms. Cords & Tassel 32.5cms. 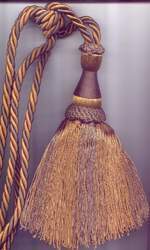 *Size:11"Tassel with Cord of 18'. *Size: 7.25" with Cord of 19.5". *Size:10' Tassels with Cord of 18.5". 4)Tassel Tieback in many and any size as per buyers requirements in any color combination. 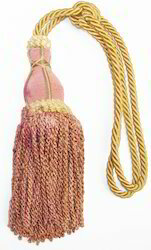 Size:7" Tassel with Cord of 19". 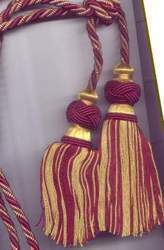 1)Size:9.25"Tassels with Cord of 19.5". 3)Fashion design and hign quality. 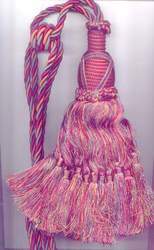 1)Size:6.5" Tassel with Cord of 20"
*Size:9.5" Tassel & 18" Cord. *Size:9.5" Tassel & 23.5" Cord. 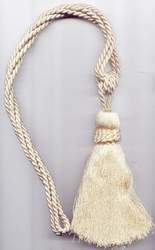 Size:8" Tassel with Cord of 18". fashion design and hign quality. *Size:4.5"Tassel with Cord of 17"
*Size:9"Tassels with Cord of 18". *Variant color, size and design, Competitive Price, Usage: home textile; decoration. *Tassel Tieback in many and any size as per buyers requirements in any color combination. *curtain tassel tiebacks, modern crystal beaded finge, matched color for your curtain style. 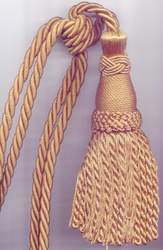 Looking for Tassel Tieback ?